The seven metal lampshades of the Priddy 1 hanging light hang in a bundle from the centre of the round ceiling plate. 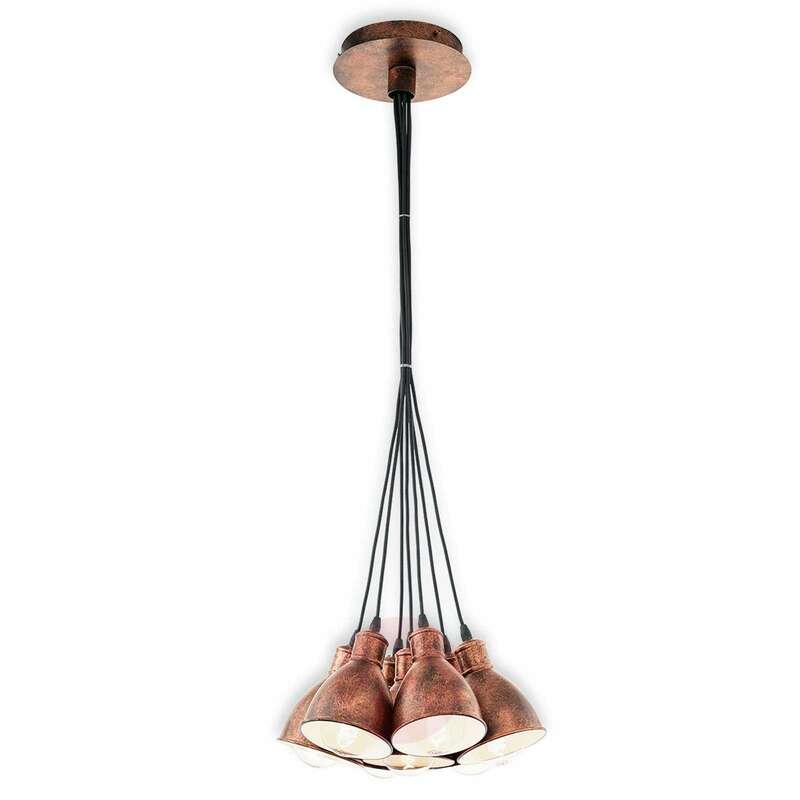 The cable is bound with rings at two points so that the lampshades hang close together and have a total diameter of 38.5 cm. The ceiling plate and outer sides of the metal lampshades come in an antique copper tone, thus making the Priddy hanging light an ideal light source for vintage-style rooms or for rooms in the country house style. 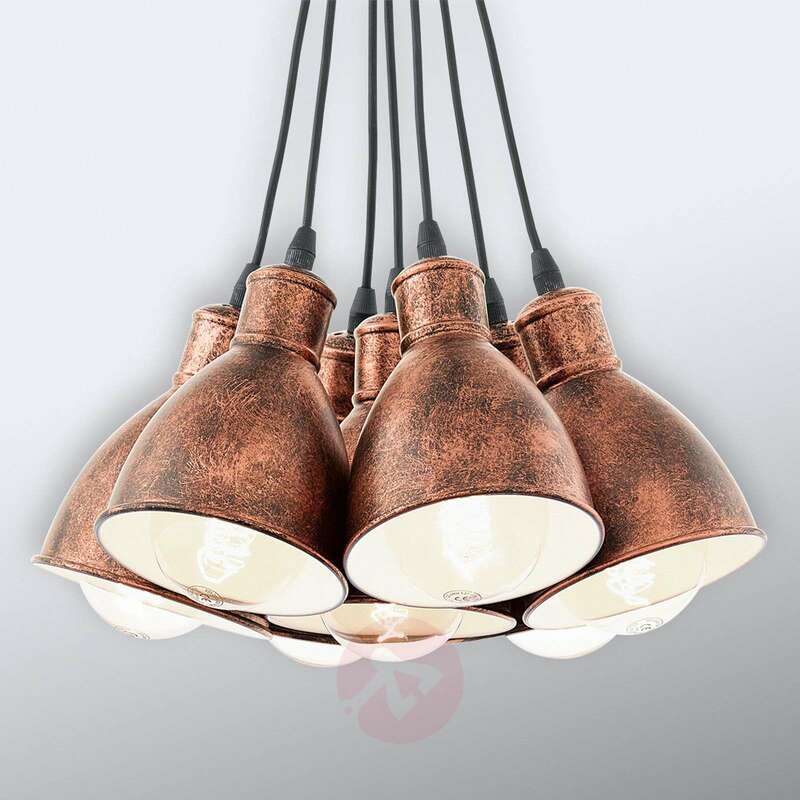 As the light can be fitted with traditional light bulbs and energy-saving bulbs or LED lamps, the hanging light is also suitable for energy-saving lighting. The white on the inside of the lampshades reflects the light so that it shines far and bright. Can the suspension cable be shortened, and how far? 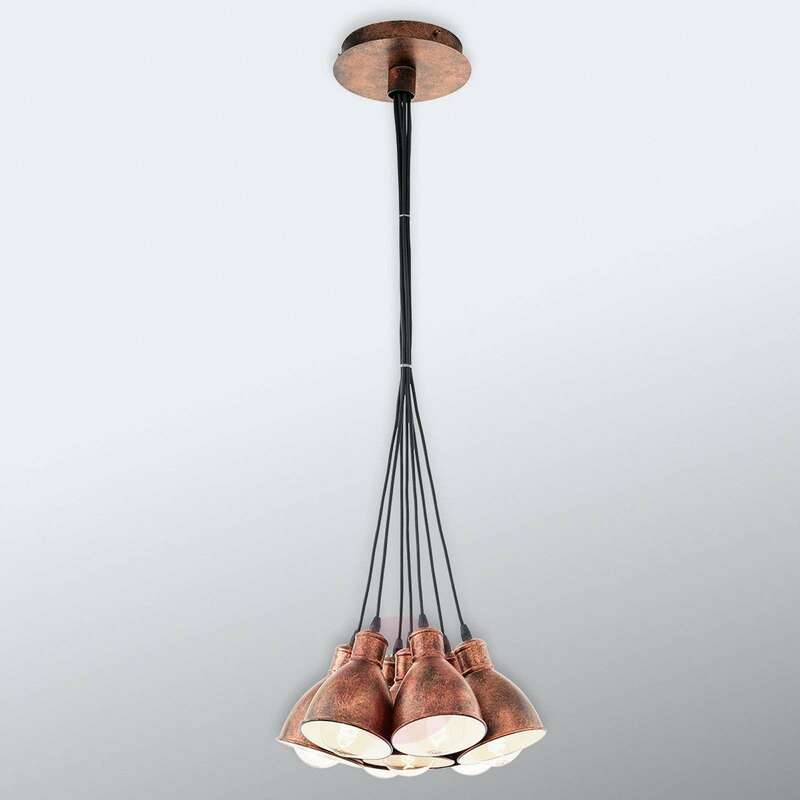 the suspension drop can be shortened before installation by an electrician. Unfortunately no minimum drop has been provided by the manufacturer. For further assistance please feel free to contact our dedicated customer service team.